A winter outfit can seem kind of bland. When you are forced to bundle up, you may feel like you run out of options fairly quickly. You want to stay warm and toasty, and that doesn’t necessarily mean looking your best. If you constantly reach for the same sweater or sweatshirt, know there are other options out there. It is possible to look adorable in the winter time while still feeling warm. Even the most neutral of looks can be accessorized to look great. Pairing your clothes up doesn’t have to be a nightmare even on the coldest of days. 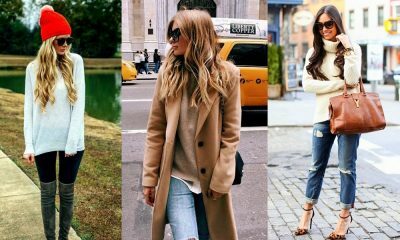 Your favorite slip-on boots and baggy turtleneck sweater can look great again, and give you the same cozy satisfaction. You just have to pair them with the perfect pieces. It might be a sparkly necklace or a stylish scarf. You may want to match up some maroon lipstick to match your favorite parka. 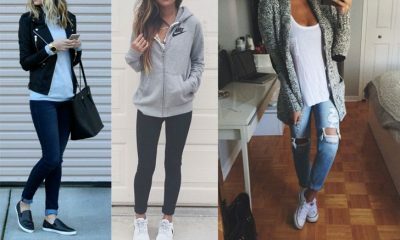 These outfit combinations utilize some of the items you likely already have in your wardrobe for fresh and trendy new styles. Mix and match your favorites to keep your winter warm and your style on point. Give those slip-on boots a new look with a matching sweater. Since most people have multiple pairs in different colors you can do this look with every pair. If you are involved in school activities, you can match your letterman jacket to a chunky necklace in your school colors. Add in other accessories to show off your spirit. Give your coat a facelift by matching it to your outfit. If you have a faux fur lined hood, match your accessories to make your snow day look more fun. Those old ripped and faded jeans you have look trendy with a pair of high-heeled boots. These lace-ups would match almost any style, from dark to light. Match your hat and scarf set to your sweater. Then, add a bright pair of earrings in the same color to make your outfit pop. Pull on your tank top and match a trendy sweater to your look. Those favorite slip-on boots in a neutral color match the outfit perfectly. 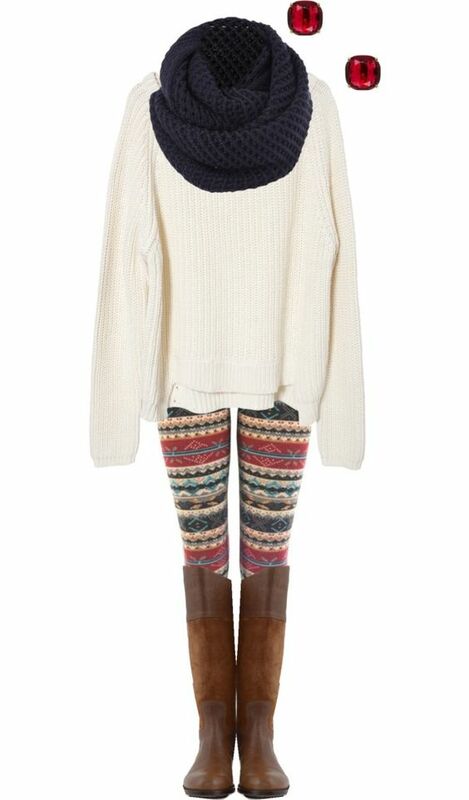 Your long button up cardigan sweater looks great over leggings. This season try a fleece lined pair for warmth. Pick a trendy pattern for style and add leather boots for the perfect look. Use the pattern of your new leggings to match your birthstone jewelry. While this ruby look is great for July babies, everyone else can use a similar concept. Your cable knit sweater that was gifted from your grandma last year and placed in the back of your wardrobe can finally come out. 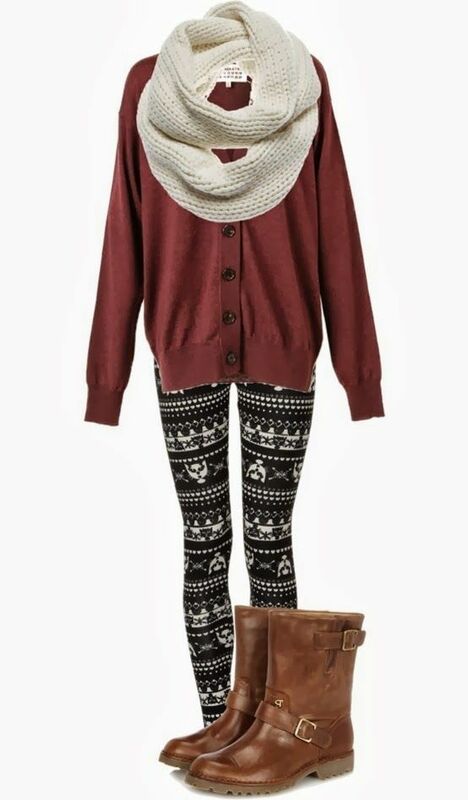 Pair with a soft scarf and knee high boots. Give your already classic black leggings even more class with traditional metallic jewelry in gold or silver. Then, add some pearls to your outfit. Your favorite flats will go perfectly with a matching wool pea coat. This traditional look can be given some flare with a simple patterned shirt. 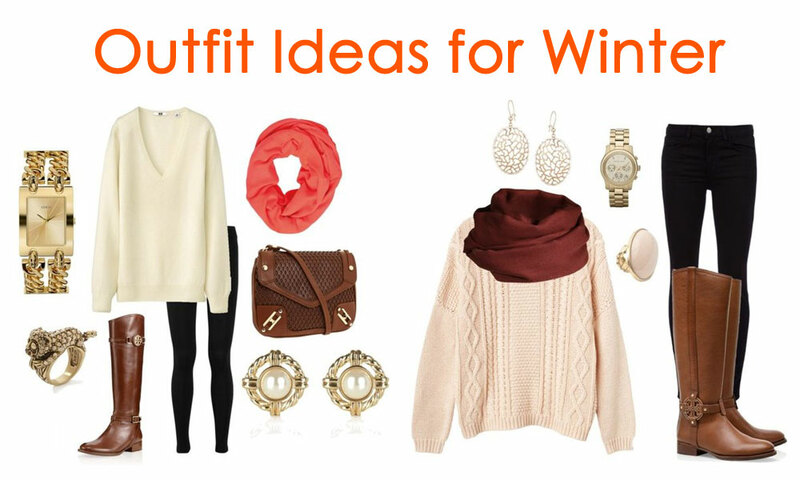 A neutral wrap around sweater can pair with almost every color. Mix and match yours with a bright undershirt and matching jewelry. 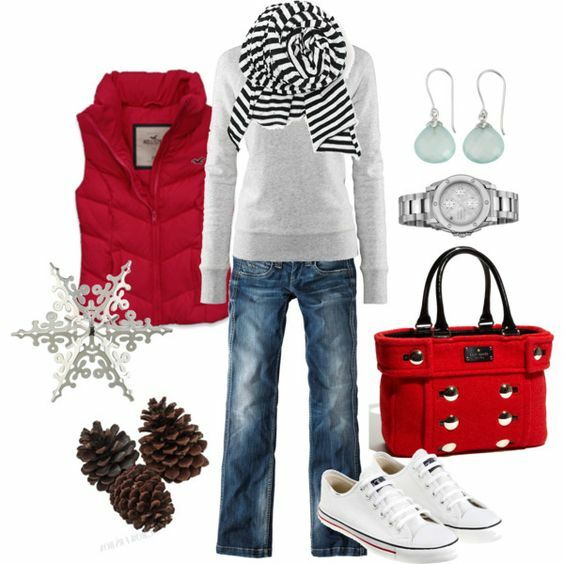 To give your sneakers a new look while keeping it sporty, pair a puffer vest with your outfit. Next, throw on a complimenting scarf in a simple and sporty pattern. Blanket scarfs are a hot trend this year, and they can make your old white tee look like it belongs on the runway. Animal print flats or heels add some fun to the look. 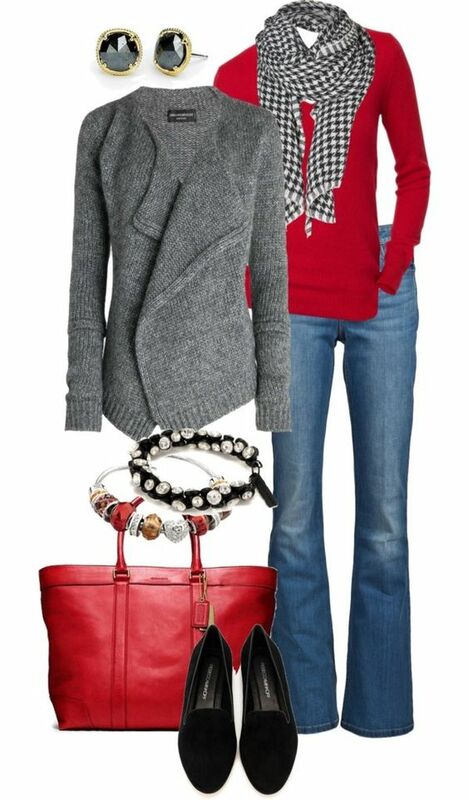 Hoop earrings paired with your button up cardigan pair perfectly with a matching scarf in the same color as your sweater. A wide leather belt you own because they came with a pair of jeans can now be used. Add a matching leather jacket and a lace shirt underneath. Those trendy heels are part of the perfect outfit when paired with an old tee shirt and sweater. 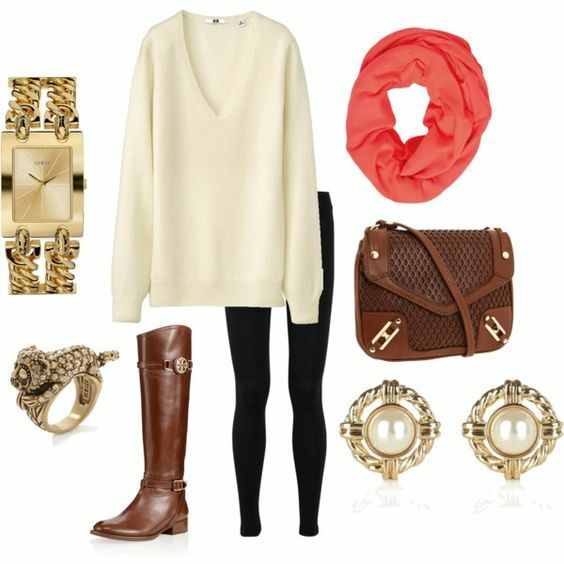 Throw on a colorful scarf with jewelry that matches. Your school girl checker print skirt you wore last Halloween looks absolutely adorable with some tights and a cable knit sweater. You may have won the ugly sweater contest but that doesn’t mean you look bad doing it. 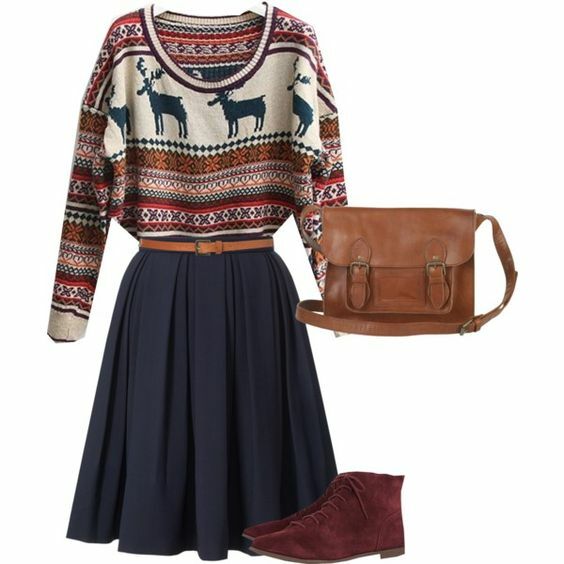 Make the ugliest of sweaters cute with a pleated skirt in modern style and boots that match. 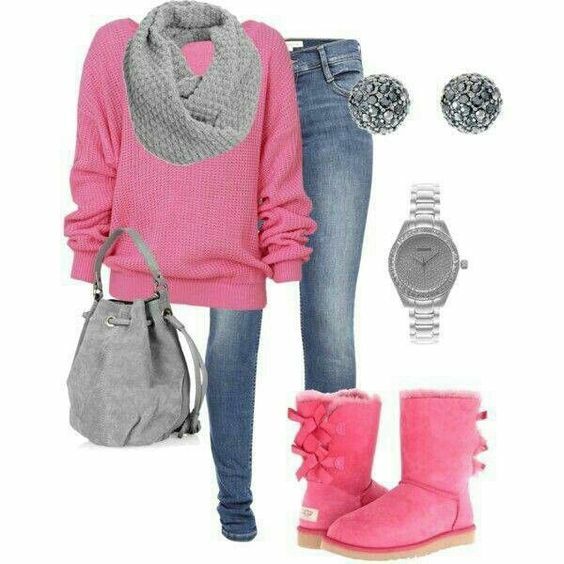 Do you love these winter outfit ideas? You can find more here on herstyelcode!